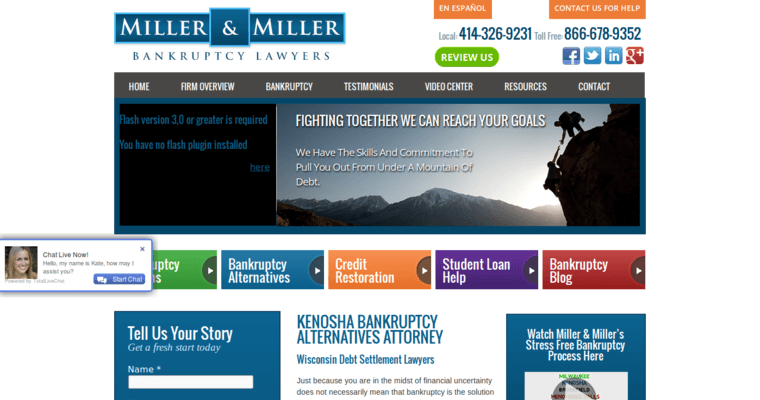 Miller and Miller Bankruptcy Lawyers are committed to helping their clients attain financial freedom. Miller and Miller investigate every client's current financial picture and status followed by presenting its client's with the best legal options. 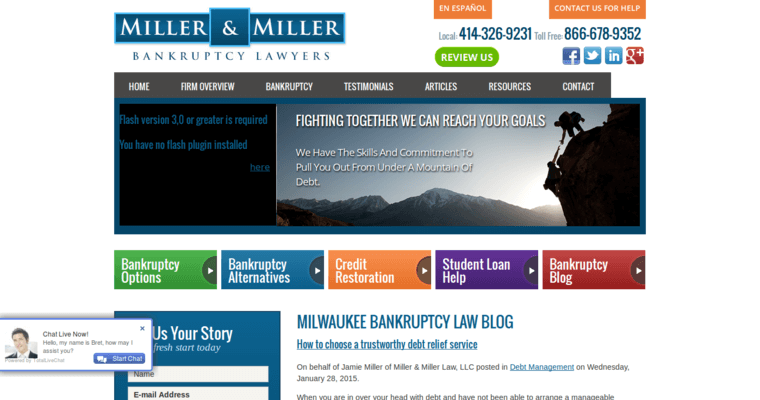 With clients facing different financial struggles, Miller and Miller Bankruptcy Lawyers provide a variety of services including but not limited to bankruptcy alternatives, credit restoration, and student loan assistance. Miller and Miller understand the struggles of its clients and take on every case with an individual and personalized approach. 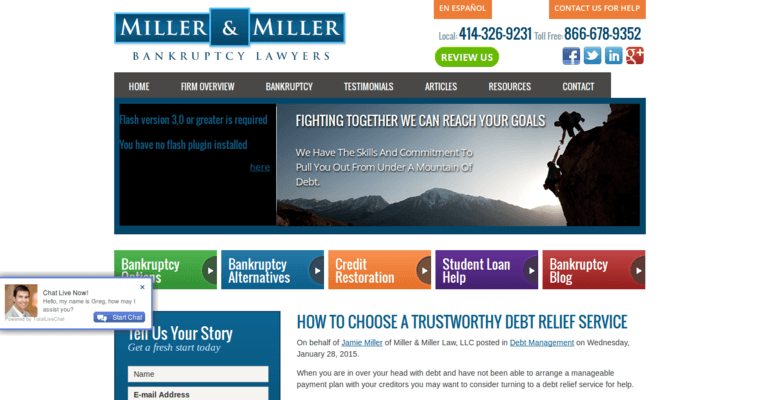 If you are faced with a financial crisis, do not hesitate to contact Miller and Miller Bankruptcy Lawyers. They are experienced and treat every client with the dignity and respect that they deserve.